Our ultimate philosophy is that elite players need to play with elite players and play against elite players in order to improve. Advanced players needs to play with and against advanced players and intermediate players need to play with and against intermediate players. In line with this philosophy we do not believe is creating “balanced teams” ie enter two teams where in team A there are Elite, Advanced and Intermediate players and in Team B the same mix of players, we would rather create one team of Elite Players, one team of advanced, one team of intermediate for example. Balanced team concept actually holds back the elite players from performing as a team to their maximum potential and will lead to frustration and doesn’t promote development. However we are not looking to only create Elite Teams, we want to have levels of teams which reflect the ability of depth of squads that are available to us. ESPZEN Soccer School competes in the FourFourTwo J League, a league which contains 23 academies and 65 teams. It is the ONLY League in Singapore that organizes age appropriate football in Singapore. Our club also travels to regional tournaments in Bangkok, KL, Hanoi, Jakarta for example plus we participate in our European tournament each year. ESPZEN Soccer School has invested in a 10 meter Sports Tower to take elevated videos of our young players, this allows players to watch the game afterwards and self reflect on their performance. Videos are well organized by age group and can be found at the following Youtube Link. Check out your child’s age group now in our video library and watch how we play. Some coaches also provide statistical support in their analysis and all players will receive not only individual objectives for each and every match but also end of season report cards. There are many benefits to be gained from joining the ESPZEN Academy. We continue to implement new ideas and forms of best practice to constantly develop our players. As part of the ESPZEN Academy, each player will be devised an individual development programme; each match day they will be set specific objectives to work towards and these will be monitored and reviewed after each game by the coaching team. This allows us to tailor training to the needs of the individual players, and the clear focus sees remarkable development in each player. Alongside this, our commitment to continuously provide innovative platforms for development is evident with our use of the “Video Tower Cam” (At Centaurs Pitch). This allows the players to further analyze and self-reflect accurately on their performance. At the end of the season, each player will also receive an individual progress report card, highlighting both successes and development opportunities. Boasting the strongest coach team in Singapore, including Robert Moss (former Leeds United U11 Academy Coach, Dennis Yomo AFC B License Coach (A License in progress) plus another Senior Academy Coach Lee Burgess (Elland Road, Leeds England), and assisted by a coaching team that has great experience in the professional game throughout Europe and Asia, we continue to innovate and evolve our coaching methods, and ways of monitoring performance, which comes direct from the elite professional game. The holistic approach that our academy programme provides, ensures clear development in player and personal performance. 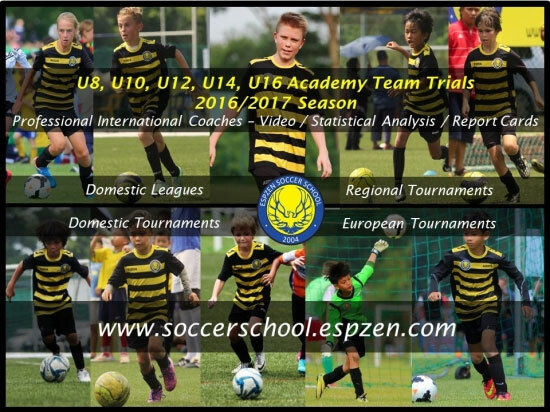 ESPZEN Soccer School is the only academy in Singapore to offer these services. Will the team be allocated a single coach ? What happens if I’m happy with my child training at sat 0900 or I can only commit to one session per week ? No problem, your child will continue to receive quality coaching on their individual skills and intelligence in order to continue to progress their soccer development. In all our sessions we do play small sided games and hence your child will still be exposed to match play. From time to time your child may be invited to represent the Academy in external matches and will certainly have chance to participate in internally organised competitions. What happens if my child struggles at this level ? Our coaches will give all players every opportunity to progress at this higher level, however from time to time, as players mature, for differing reasons they may begin to struggle with the sessions which will become increasingly demanding as players become older. 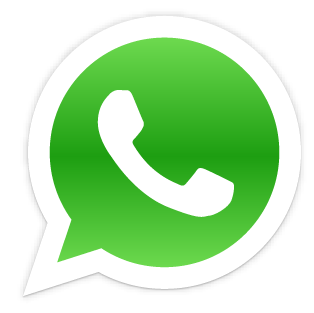 In such situation, the coach will discuss with the parent concerned, and perhaps rejoining the mainstream program temporarily or for an indefinite period of time could be a solution. Ultimately we want all children to enjoy their soccer, and if a child does find the training too challenging a revision may be required. Does being part of this program guarantee my child will play in domestic and overseas tournaments ? To be considered for such tournaments, at the appropriate time and appropriate age, a child needs to be inside our team based training program, however being inside the program is only the start, once inside the program it is important each child continues to progress at the expected rate of improvement (socially, technically, physically and psychologically) in order to remain inside the program. For certain overseas tournaments there may be squad limitations and or limitations on the number of teams we can enter per age group, hence selection based on merit will still be required. For domestic tournaments, especially those organised by ourselves there will be plenty of opportunities for players to compete. Can young footballers join the team based program at any time ? Yes indeed, our soccer school attracts new joiners all year round, and if we identify players with strong potential, they will be offered the chance to join the team based program. My child also plays with another academy or school team to complement their training – is this recommended ? If a technically sound and intelligent player plays 5, 6 or 7 a side with players who have learnt to play a different style of football you will (as a parent) find this to be counterproductive (if you observe the training or matches). For example your intelligent child will be making intelligent runs and looking to pass the ball according to how they have been taught by us, but they will find in matches with players who haven’t been coached at a high level their team mates are a) not making the runs expected and hence the option to pass to them doesn’t exist the impact being your child will begin to lose instinct on making the correct pass and b) when your child is running off the ball, and the ball doesn’t arrive as others players haven’t been taught to see intelligent movement off the ball and even to pass the ball, your child will stop making the intelligent runs, as they become increasingly frustrated. We have seen on a number of occasions some of our young students playing competitive matches within school teams not coached by us, and standing in the perfect position to receive the ball, but the ball never arrives ...... hence the coach will be shouting at the child to “get involved” for example, your child will then go hunting for the ball (moving out of position), destroying all the seeds that we have planted. If your child has great dribbling skills but has learnt with us when is the right time to dribble or the right time to pass, other coaches may see your child is good at dribbling and may encourage everyone else in the team to pass to them, so they can dribble and score.... similarly destroying your child’s football intelligence. If your child is exposed to external training our advise is, where possible ensure the coaching is limited to technique only (1v1 skills, goalkeeper training, footwork, passing, running with the ball etc) then it can be seen as complementary. Of course if your school is using our coaches to execute the ECA or school team, then you can be sure the training is complementary. In summary there are many ways to teach children how to play football, depending on the objectives of the coach, our clear objectives are development as "play to win" is counterproductive especially at the younger ages or u7,u8,u9,u10. When will matches take place ? Will there still be Sunday training when there is a match ? It depends on the event, but generally speaking, yes Sunday team training will still take place even if there is a game. Games are seen as complementary to the training and a chance to put into practice the intelligence they have acquired from the team based training. Is the cost the same as the generic soccer school program ? Yes the cost per session is identical. When does Team training take place ? If my child is selected for an overseas tournament, we will miss the regular training, what is ESPZEN Soccer School policy in this regard ? Any player away for the weekend on a tournament will be entitled to a free make up class for sessions missed whilst away on a tournament.